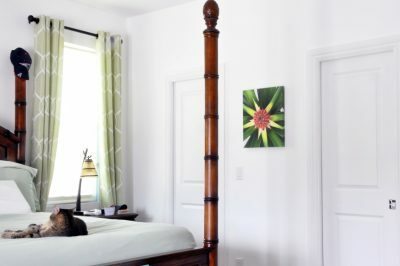 I am very excited to announce a photo canvas giveaway on theHousehouse.com! Keep it for yourself or it would make a great Christmas gift too. Details on how to win are at the bottom of this post. I don’t know about you but I love taking pictures and I love photography in general. I’ve got thousands of photos on my laptop and on my iphone. I take pictures ALL THE TIME. And, if you are anything like me, most of these photos live in your cyber world. So when the folks over at canvasfactory.com contacted me about doing a giveaway, I jumped at the chance! Wouldn’t it be nice to get at least one of your favorite photos off of your phone and onto your wall? Canvas Factory provides high quality canvas prints at an affordable price. And they are having huge sales on there web site right now. BUT, you can win a Free one here. You can’t beat free. Here are several I have in my own home that have been purchased through CanvasFactory. I’d been searching for the right artwork for my newly re-done Master Bedroom. Something that had some nice greens to go with my tropical theme. After looking through my millions of photos, I decided on this picture I took of a pineapple that I actually grew myself in a pot by my pool. Isn’t it pretty? I love the pops of green on my white walls. 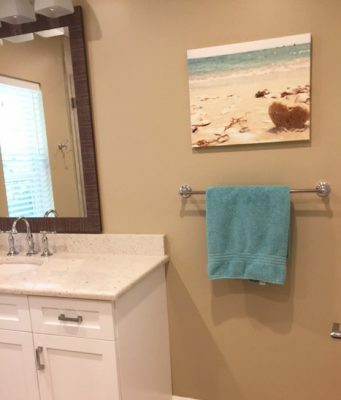 I also have this canvas hanging in my Guest Bathroom, see below, of a picture I took on the beach. 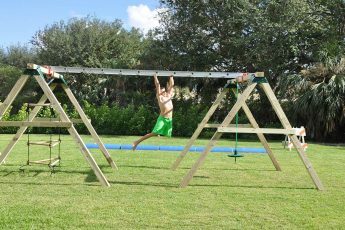 I can tell you the quality is top notch and so is the service. Read the details below on how to enter. 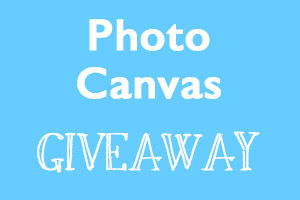 *To enter the contest for a FREE 16×20 canvas (with your own photo), simply add your name to my email list by using the form below. Contest runs from November 6 to November 20, 2018. *Offer good for US Residents only. * You will receive a weekly email newsletter from theHousehouse.com and access to Free Printables. You can unsubscribe at any time and we promise not to spam you. ***The contest is now over. Thank you to all who entered. I will select a name and contact you by email if you are the winner.